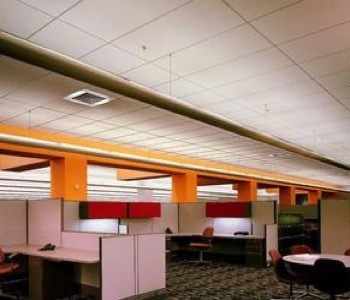 Aspen™ Acoustical Ceiling Panels are an economical choice, with medium texture which aids in sound absorption, and it cleans easily with a soft brush or vacuum. 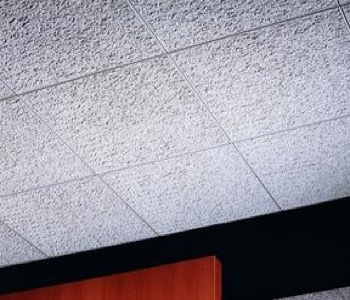 Fissured™ Acoustical Ceiling Panels are designed for administrative offices, corridors, mass merchandisers and convenient stores. 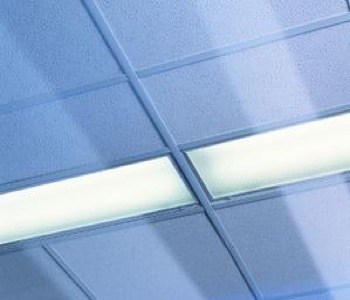 Halcyon™ ClimaPlus™ Healthcare Acoustical Ceiling Panels are ideal for healthcare facilities, laboratories, kitchen areas and other commercial spaces. 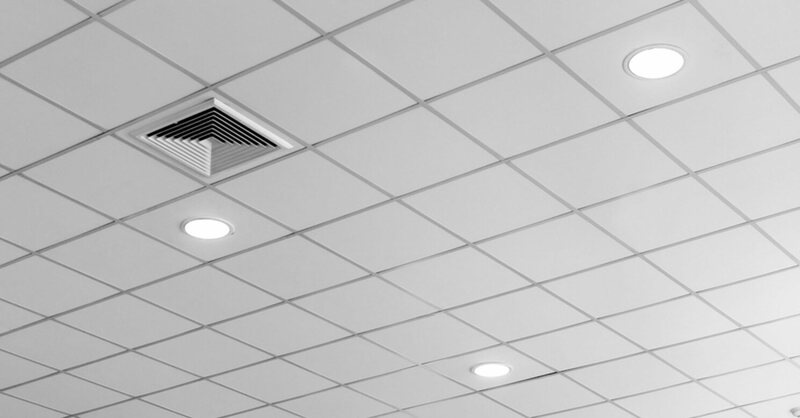 Frost™ Acoustical Ceiling Panels designed for environments where noise reduction is important, such as conference and lobby areas, retail stores and transportation terminals. 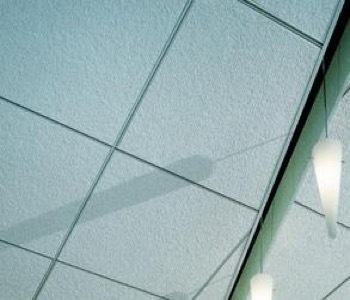 “F” Fissured™ Acoustical Ceiling Panels are perfect for administrative offices, schools, financial institutions, religious buildings and restaurants. 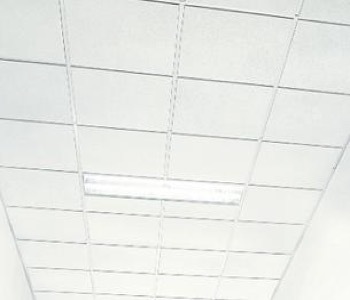 Clean Room® ClimaPlus™ Acoustical Ceiling Panels are perfect for 100-rated to 10M-100M- rated clean rooms, computer and control rooms, kitchens/food prep areas (Class 100 only) and sterile rooms. 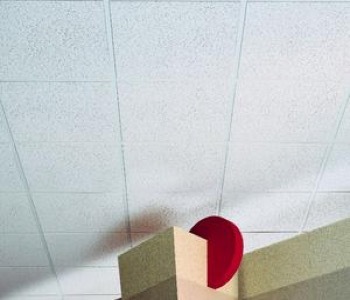 Eclipse™ ClimaPlus™ Acoustical Ceiling Panels are Specially designed to withstand mold and mildew, and are optimal for schools, hotels, office and conference areas. 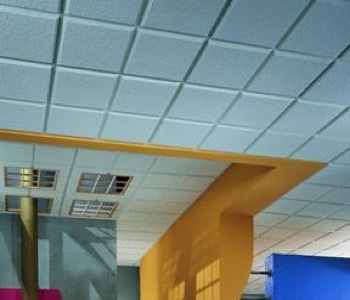 Glacier™ Acoustical Ceiling Panels are made with an enhanced appearance and offer excellent sound control and durability. 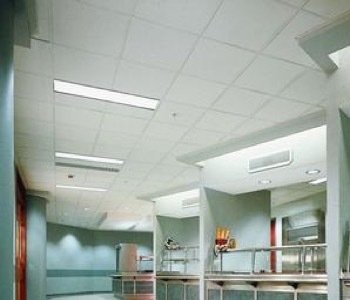 Scratch resistant, easy-to-clean and ideal for food courts, libraries and restaurants. 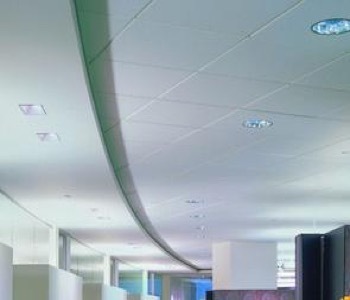 Frost™ ClimaPlus™ High-NRC/High-CAC Acoustical Ceiling Panels offer high performance and versatility.From sound and moisture control to high recycled content and zero emissions, these panels are perfect for the wide-range of needs of architects and designers. The WOODWORKS Vector edge detail provides safe and secure downward accessibility without tools and installs on 15/16″ exposed tee suspension for narrow reveal visual (1/4″). 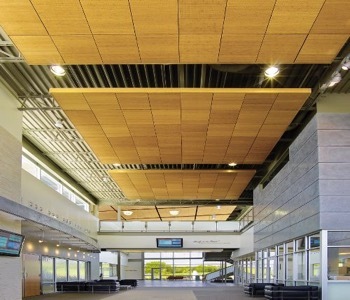 The fully accessible wood panels are available in various options for acoustical and aesthetic needs. 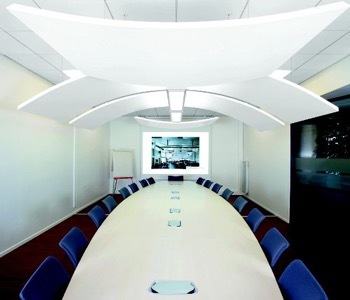 The METALWORKS Canopies are durable and sleek metal canopies that define and accentuate spaces. 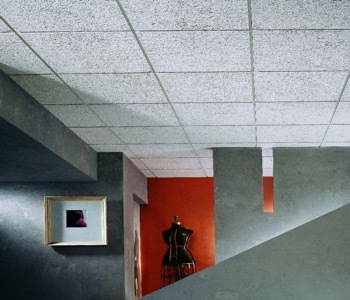 It provides great aesthetic from above and below, is easy to install, and is adjustable to special heights and angles. There are three panel types – flat, hill, valley. The product is durable and also easy to clean and maintain.